Cloudy. High 81F. Winds SE at 5 to 10 mph..
Cloudy skies early followed by thunderstorms late. Low around 65F. Winds SE at 5 to 10 mph. Chance of rain 80%. 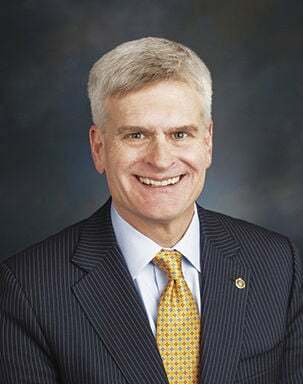 U.S. Sen. Bill Cassidy, R-La. WASHINGTON, DC—U.S. Senators Bill Cassidy, M.D. (R-LA), Gary Peters (D-MI), and John Boozman (R-AR) today reintroduced bipartisan legislation to expand opportunities for high school students to obtain college credit, making higher education more accessible and affordable. The Making Education Affordable and Accessible Act (MEAA) would help improve high school and college graduation rates by expanding the use of existing grants to institutions of higher education to expand their dual and concurrent enrollment initiatives and early/middle college programs. Concurrent enrollment provides high school students the opportunity to take college-credit bearing courses taught by college-approved high school teachers, allowing students to begin working toward their associate’s degree. This saves students and families money, while preparing them for the workforce. “Concurrent enrollment and early college programs have a proven track record of effectiveness in Arkansas. Making these programs more accessible creates opportunities for students in Arkansas and across the country to develop in-demand skills sooner or make progress toward higher learning, which in turn helps to increase the talent pool for local businesses,” Senator Boozman said. Support activities such as course design, course approval processes, community outreach, student counseling and support services. Check out these Livingston Parish headlines from the weekend of March 8-10, 2019!